Backseat doctoring | Hey, How's Med School? Can you imagine if one of His hairs (and it looks like He’s been losing some recently) fell into the cavity? That’s your own on-board, first-class relic! You’d be like a nuclear submarine. 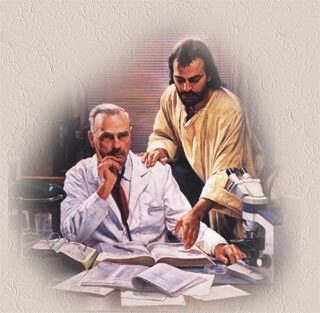 I was allowed into my doctor’s inner sanctum for the first time the other day, to look over his shoulder at an x-ray of my foot. 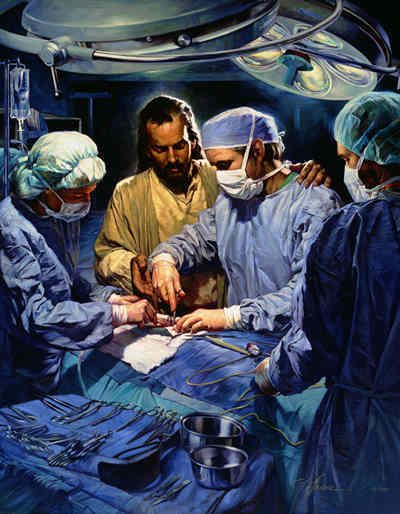 I turned and saw a reproduction of the Jesus in the operating room painting on the wall. I am seeking a second opinion. Really. This, coming from someone who now lives in semi-rural Oregon and is used to doctors at Cedars-Sinai in L.A.